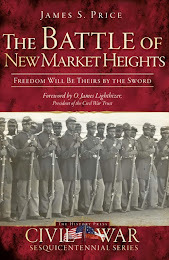 In my previous post, I lamented the troubling legacies of the American Civil War that have been cropping up in recent headlines. 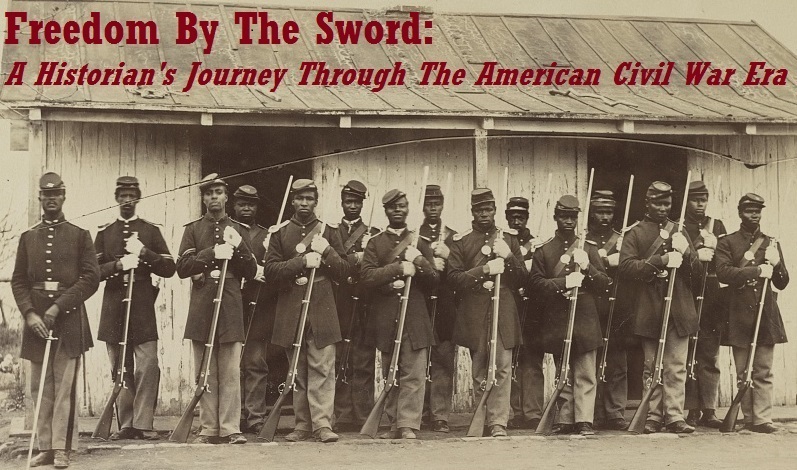 In the intervening weeks since I wrote that post, a new scandal has broken into the headlines – a story which contains several parallels to the dehumanizing practice of slavery in the antebellum South and which originates from the same ideological cesspool…and yet no one in the Civil War community has uttered a word about it that I am aware of. The painting shown below was the subject of a recent exhibition at the Library of Virginia. Entitled “Slaves Waiting for Sale, Richmond, Virginia” the work depicts a slave auction on the eve of the American Civil War. It shows nine enslaved men and women – including three children – pensively awaiting the moment they will be put on an auction block for sale. The viewer’s stomach churns in revulsion at the thought of this moment – that these people were dressed up only for exhibition, hoping that the fancy clothing might fetch a better price…that the children clutched tightly by their mothers might be sold to a different bidder, wrenching the family apart for years to come…maybe even forever. 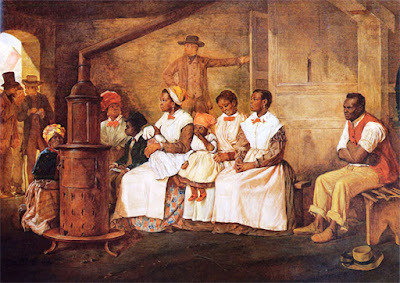 Much of the injustice associated with buying and selling human beings is captured in this paining, and historians have done a fine job over the past half century to bring this tragic era of human history to light and to show that slavery was in no wise a benign institution – it was violence perpetrated against the human soul. What cries out as so very wrong about the practice of slavery is, in part, its degradation and dehumanization of our fellow human beings. In his magisterial The Problem of Slavery in the Age of Emancipation, David Brion Davis defines dehumanization as, “the eradication not of human identity but of those elements of humanity that evoke respect and empathy and convey a sense of dignity” (p.17). Consider, then, the recent scandal concerning allegations that abortion provider Planned Parenthood has been harvesting body parts taken from aborted babies and selling them to medical research companies for profit. There has been quite a smoke screen attempting to cover the craven nature of what the recent undercover videos that exposed this illicit trade truly shows. But I challenge you to reflect upon this snippet taken from one of the latest videos, in which Dr. Savita Ginde and her staff are picking through the severed pieces of a child. At one point a medical assistant cracks the child’s skull while Dr. Ginde laughs and says, “It’s a baby.” Shortly thereafter another assistant yells “It’s a boy!” when examining the eviscerated baby’s lower body. This is the dehumanization of slavery on steroids. The aforementioned footage and mounds of other evidence (and plain common sense) shows that the abortion pushers at Planned Parenthood agree that they are killing what is clearly identifiable as human (otherwise they wouldn’t be able to profit from selling the body parts.) They simply strip the unborn child of any dignity or sense of worth – “life unworthy of life” as an ideological bedfellow of theirs would have put it – and rake in the profits, just like the slavers of old. So where is the outcry from my colleagues? And yet when it comes to this horrific scandal, mum’s the word. It staggers me to see the amount of ink spilled over the controversy surrounding the Confederate battle flag and the unbridled zeal to take down monuments dedicated to those who fought to establish a slaveholding republic…with nary a word devoted to an indefensible practice that rivals the great human rights crises of the past. Today, many in our society are unmoved at the prospect of unborn children “suffering privations” and writhing in the womb as they are sliced to bits and sold at market to the highest bidder. Weld’s contemporaries relied upon Phrenology and other pseudoscience to justify their depredations just as Planned Parenthood hides behind junk science and deception to carry out its illegal trade. The magnitude of this scandal exceeds traditional pro-choice/pro-life squabbles – it cuts right to the core and forces us to search our souls for an answer to the question of what makes us human. Do we have intrinsic worth, or is some life more worthy of protection than other life – and how do we arbitrate between the two in the latter case? If there is no absolute value to be placed on every human life, then there’s no logical reason why you can’t slaughter a child in utero and harvest its organs to finance your Lamborghini. And there’s no reason why you can’t own another person as well. Well, if ever anyone needed ammunition to bolster their arguments that the haunting legacies of slavery and the Civil War still impact our nation today, the past few weeks have provided an abundance of troubling evidence. I, for one, was very troubled over the initial debate over the public display of the Confederate battle flag in the wake of the horrific hate crime in Charleston. To me, it seemed like the “rush to the colors” was not only misguided, but completely wrongheaded – when the bodies of the victims had not been properly memorialized or even buried some acted as if the main takeaway that Americans should be concerned with was whether or not future generations would learn the “real” history of the Confederacy. Never mind the nine innocent victims who had been slaughtered and the hateful ideology that motivated the Confederate flag-waving killer. 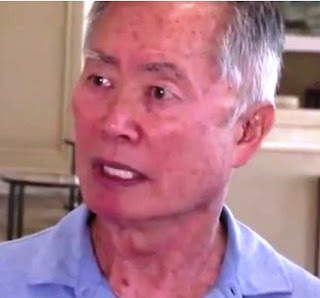 Equally troubling were the recent remarks made by actor George Takei following the recent Supreme Court ruling on gay marriage. Takei, who has been a champion for gay rights and marriage equality for many years, was not content to celebrate this historic ruling. Instead, he launched into a diatribe against Justice Clarence Thomas’s dissenting opinion that was laced with racist imagery that should have no place in any civil discussion. Human dignity has long been understood in this country to be innate…Human dignity cannot be taken away by the government. Slaves did not lose their dignity (any more than they lost their humanity) because the government allowed them to be enslaved…The government cannot bestow dignity, and it cannot take it away. He is a clown in blackface sitting on the Supreme Court. He gets me that angry. He doesn't belong there. And for him to say, slaves have dignity. I mean, doesn't he know that slaves were in chains? That they were whipped on the back. If he saw the movie 12 Years a Slave, you know, they were raped. And he says they had dignity as slaves…I mean, this man does not belong on the Supreme Court. He is an embarrassment. He is a disgrace to America. Takei’s reference to blackface harkens back to a disgusting theatrical tradition that propagated racist images and attitudes. Minstrel shows that employed blackface portrayed African Americans as inferior caricatures and blackface clowns were a popular means of reinforcing the “otherness” of black Americans. Takei has since taken to Facebook to apologize for using this blatantly racist imagery (which he called "uncivil") and suggested that he “referred to [Justice Thomas] as a ‘clown in blackface’ to suggest that he had abdicated and abandoned his heritage.” It is interesting to note that most follow-up comments on his Facebook apology support what he originally said and claimed he had nothing to apologize for. What Takei did not walk back in his apology were his remarks about slaves not having dignity. One can only give him the benefit of the doubt and hope that he was unartfully stating that slavery stripped dignity from human beings. If humans do not have inherent dignity, then there is no moral law against enslaving them in the first place. But this, of course, is clearly not what Justice Thomas was suggesting. His line of reasoning was the main underpinning of the abolition movement while Takei alluded to the language and customs used by the defenders of the Slavocracy. Takei’s language is just as offensive as the proud display of the Confederate flag after the Charleston shooting. While I don’t think that he or the defenders of the Confederate flag are virulent racists, I do think that both display a disturbing lack of understanding and appreciation for the real history of slavery, race, and the legacy of the American Civil War.